Atlantic South Region: Game on! It's Pickle-ball! 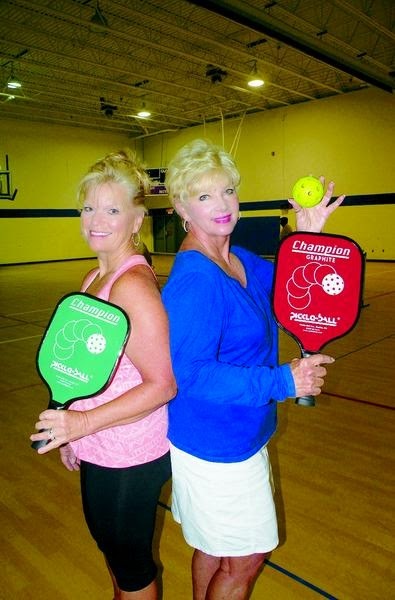 THOMASVILLE — Ann Whitt had never even heard of Pickle-ball when she discovered the sport during a recent trip to Florida. Now she's pretty much addicted to it. "I joined the Thomasville Y because they have Pickle-ball," said Debbie Gordon, one of 12 participants in bi-weekly morning Pickle-ball sessions at the Tom A. Finch Community YMCA. Petra Halker wasn't the least bit stressed over taking up a new sport. "We're all new at it," she said. "I used to play tennis and it sort of transfers over. It's active for sure."